Samsung's fire-prone smartphones are causing a flameout for its stock. Shares of the world's biggest smartphone maker plunged 7% Monday after the company told owners of its high-end Galaxy Note 7 phone to stop using the devices over concerns they can burst into flames while charging. 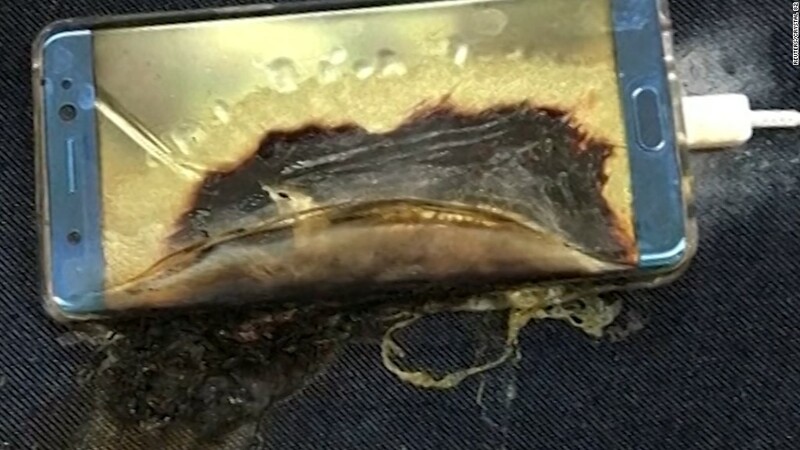 Samsung's (SSNLF) alert urging customers to bring their Note 7 phones in for a replacement as soon as possible followed warnings from aviation authorities and airlines that the devices shouldn't be used aboard planes. The cascade of negative headlines has deepened investors' worries about how badly the Note 7 debacle could hurt Samsung's reputation. The company has already lost a great opportunity to get ahead of its big rival Apple (AAPL), which unveiled the iPhone 7 last week. "If a customer is going out to buy a phone, they're going to buy an iPhone 7, not a Note 7," said Mark Newman, a Bernstein analyst who covers Samsung. He pointed out that the Note 7 was launched before the iPhone 7 and received better reviews. Samsung said 10 days ago that it was halting sales of the Note 7 and recalling about 2.5 million of the devices around the globe. The warnings to stop using the phones on planes and elsewhere came at the end of last week. The cost of the recall is estimated to be in the hundreds of millions of dollars, analysts say. But with more than $25 billion wiped off the company's market value in less than two weeks, the bigger question is how long the fallout will last. Related: Can aviation authorities' Galaxy Note 7 warning be enforced? "If they really fumble and this whole thing goes on longer and there's more stories and more bad press, it could possibly hurt their reputation and their sales next year," Newman said. "That fear factor is driving the shares down." 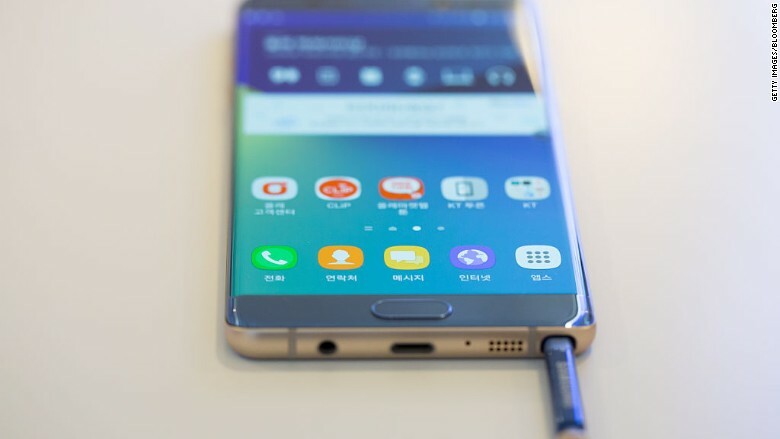 But Samsung's Note 7 storm will "most likely blow over in a couple of months," he said. 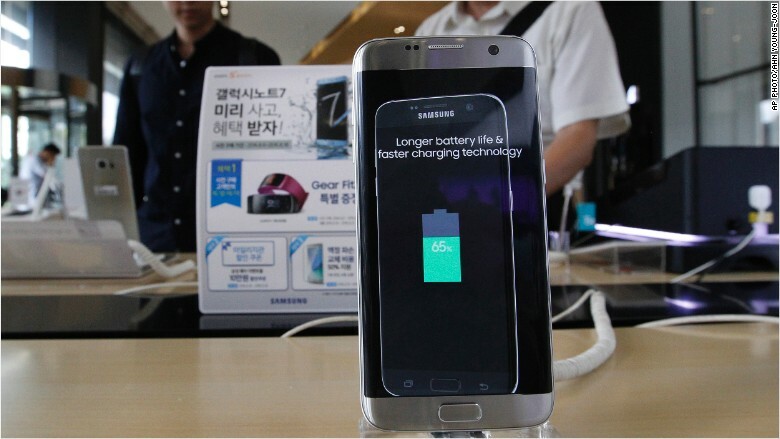 "Longer term, Samsung is a strong brand with great products. Most of them don't explode." The company is "going out of its way to resolve the issue quickly," Newman said, contrasting it with the slow response of Japanese company Takata to its exploding airbags scandal.